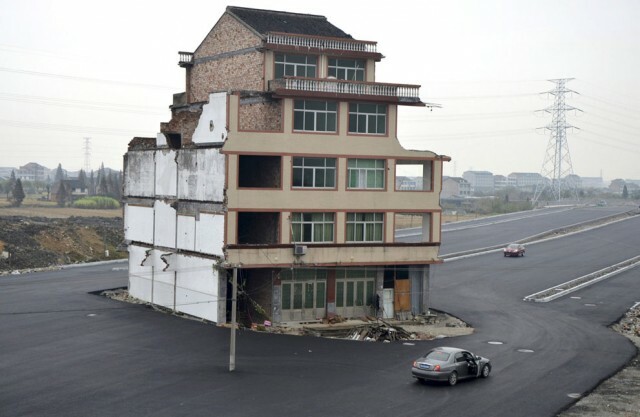 This bizarre house in the middle of a road in Wenling, China is the product of a standoff between an elderly couple and the Chinese government. 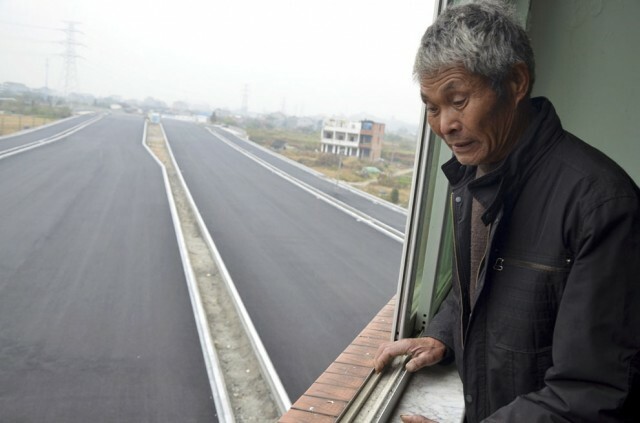 The government relocated some 500 families in the village to make way for a new road, but Luo Baogen (67) and his wife (65) refused to move, because they felt the compensation (roughly $41,000 USD) would not pay for a replacement home. 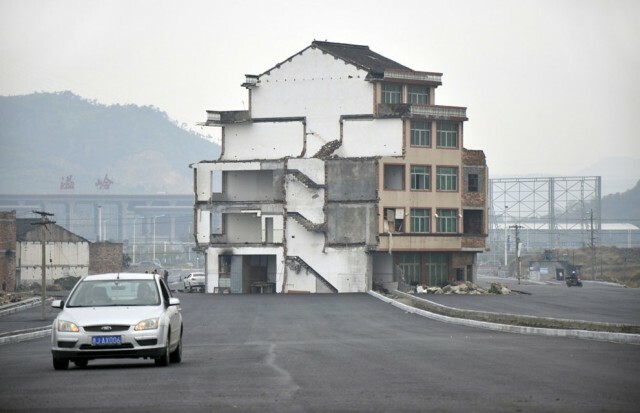 The government built the road anyway, surrounding the house with asphalt. The standoff has been going on for four years.